Serinda Dress https://www.review-australia.com/asia/serinda-dress-black/RE19DR034.REBLK015.html Slip into the Serinda Dress for a look that's instantly polished yet playful. 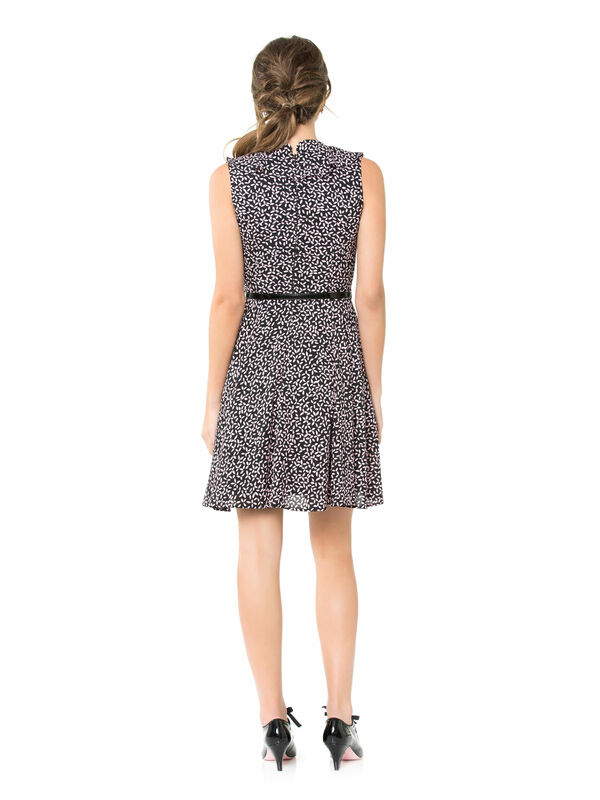 The lightweight georgette dress is a classic fit and flare style that suits day or evening. It features a modern petal print throughout of pink on black. Feminine yet fresh, the dress has a ruffle frill that accents the v-neckline and a removable patent belt at the waist. Slip into the Serinda Dress for a look that's instantly polished yet playful. The lightweight georgette dress is a classic fit and flare style that suits day or evening. It features a modern petal print throughout of pink on black. Feminine yet fresh, the dress has a ruffle frill that accents the v-neckline and a removable patent belt at the waist.